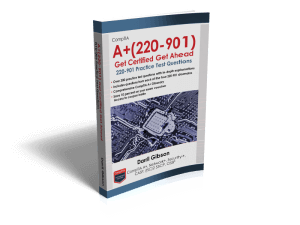 Multiple quiz formats including close to 300 practice test questions. Questions are organized by each of the five domains. Once you master the content, use the Test Your Readiness Quiz to check your readiness. Includes Flashcards to remind you of the important 220-902 concepts.